Combine all sauce ingredients in a blender. Chill. 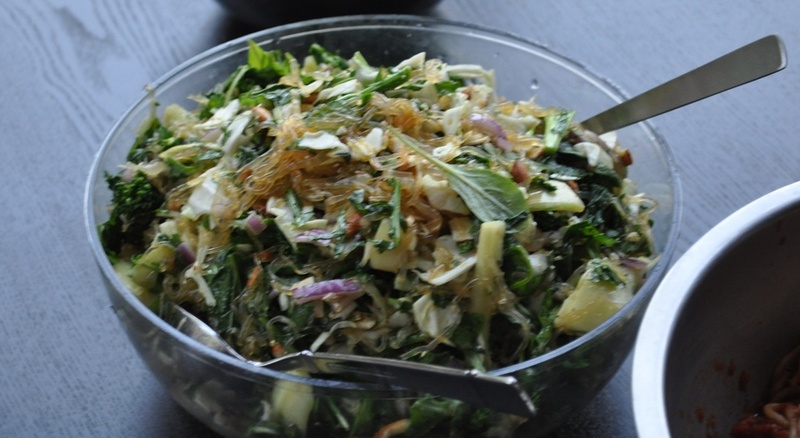 Combine all salad ingredients (except for the kelp noodles), in a large mixing bowl. Pour the sauce over the kelp noodles and massage sauce into noodles. Add sauced-up noodles to salad and mix thoroughly massaging all ingredients together.